On Wednesday, April 3rd, the Secretary-General of the Polisario Front Brahim Ghali was received by the Icelandic Prime Minister Katrin Jakobsdottir. This visit was reported by the Front’s press agency, SPS, which published a photo of Ghali standing next to Jakobsdottir, and two members from the Front’s National Secretariat, namely Mohamed Yeslem Baysat and Abdati Brayka. The same source indicated that the Icelandic Prime Minister «welcomed» the Polisario delegation and discussed her «support for the efforts for a solution based on compliance with international legality and United Nations resolutions». This meeting, according to SPS, addressed the latest developments of the territorial conflict, exchanging views on the «efforts of the United Nations (…) in addition to the work of the envoy of the Secretary-General of the UN, Horst Köhler». During his meeting with the Icelandic Prime Minister, the separatist movement's leader did not miss the opportunity to refer to the «referendum on self-determination», claiming that Morocco «breached its commitments for the holding» of said referendum. 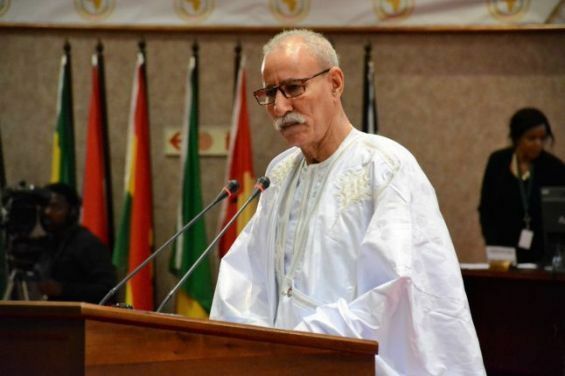 Moreover, Ghali denounced the «inclusion of Western Sahara in the trade agreements signed by the European Union and the Kingdom», urging for their immediate «annulment». Meeting the Icelandic Prime Minister, comes after the Polisario Front has been trying to get the support of some European countries. Earlier in March, a delegation from the Tindouf camps visited the republic of Ireland and was received by its president. According to the Front’s press agency SPS, the delegation was composed of Mohamed Sidati, the Polisario’s «Minister Delegate to Europe», as well as Mohamed Yaslem Bissat a member of the separatist movement. «The meeting was an opportunity for the delegation to hand over the Irish President Michael D. Higgins a letter from Brahim Ghali», the same source said. In Ireland, the Polisario delegation held meetings with several Irish politicians. 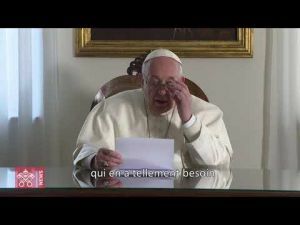 This visit was relayed by the Algerian press agency, creating a wave of criticism among Moroccan media platforms, which described the meeting as «fake news». For the record, the Polisario has been home to several foreign delegations, coming from Europe and the United States in the last couple of months. Losing ground in Europe, after the European Parliament adopted the fisheries and association agreement concluded with Morocco, the Front received a French delegation of French solidarity activists. Days before that, the Chairman of the U.S. Senate Armed Services Committee arrived in the camps, heading a Congress delegation.